There once was a patient named Dondra who had allergies. But her allergies were more than just typical pollen reactions. She was also allergic to hay and green beans. As bizarre as it sounds, her adult version was unable to experience two very diverse things that she enjoyed during her childhood: horseback riding and eating green beans. Almost six months after starting Chiropractic care, she was invited to go horseback riding. She was hesitant at first, but thought that maybe Chiropractic was making a difference and wanted to put it to the test. So, she loaded up with Sudafed spray in her pocket and saddled up. True to the power of Chiropractic, she endured no sneezing and no drug use. We see this all the time in a Chiropractic office. A few days later Dondra tested herself again by eating green beans. Sure enough, no problems! Many people across the world experience the immune-boosting benefits of Chiropractic. 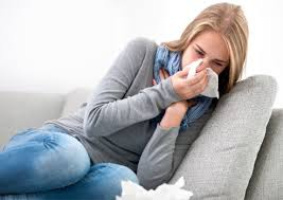 Chiropractic adjustments do not treat allergies or the immune system. They remove interference to the nervous system to allow the body to function and fight like it was designed to do. This study is just another profound example showing how detrimental a vertebral subluxation is to human health. The problem continues to be a lack of education. People who do not know the scientific evidence continue to believe the profiteering message of pharmaceutical companies. All allergy drugs are dangerous and proven to produce nasty side-effects.Chiropractic evidence proves that the solution to most allergy problems already exists within the body. Remove the interference and people like Dondra are given the freedom to heal without drugs and chemicals. Society desperately needs to understand and receive the life-changing benefits of Chiropractic.